I love pretty things. I love new things. I love fashion. Yet, I don’t love the rather cheap and fast fashion that is so prevalent these days, with things being produced so cheaply, in who knows what kind of conditions. What is one to do when trying to shop? Especially for shoes? Imagine my delight when I found a shoe company that is based in the United States with shoes ethically made in Peru! Nisolo employs Peruvian shoe craftsmen, who now have access to a larger market, and are able to make a living and expand their businesses. This gives them the ability to hire workers, send their children to college, and in general improve their lives, and the lives of their families. This is the kind of business I want to support. Each purchase includes the name of the shoemaker and a guarantee that if your shoes wear out they will replace them (within reason, I assume). They make men’s and women’s shoes in a variety of styles: adorable sandals, flats, lace up oxfords. 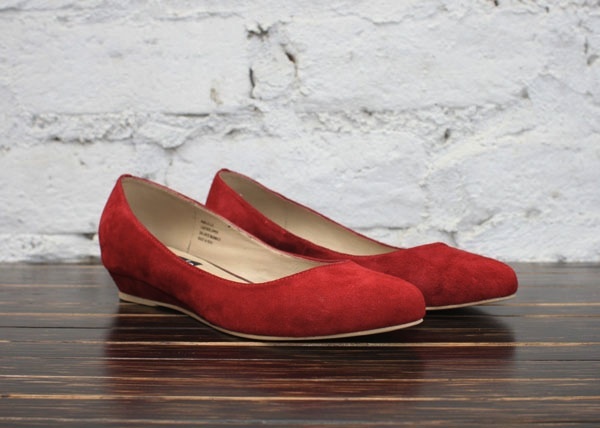 I have a pair of Mendez flats in the cranberry color, and they are so well made, stylish and comfortable, that I wear them all the time. They're perfect for walking around all day, with a slight wedge heel that makes them a classy step above a typical flat. I have my eye on a pair of sandals next, and I can feel good about my purchase, knowing that I’m getting a great product and supporting a shoemaker a world away. Viva Nisolo!